Home Agency BSP Government News BSP: Demonetizing old banknotes extended up to March 31, 2017. 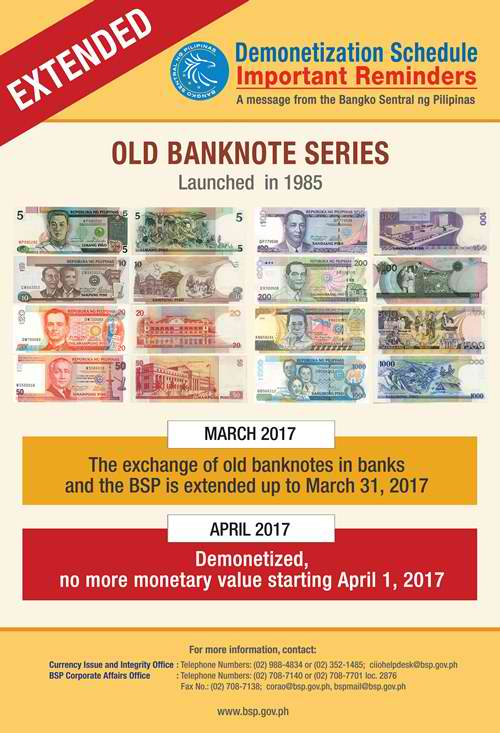 BSP: Demonetizing old banknotes extended up to March 31, 2017. Exchanging of New Design Series (NDS) for New Generation Currency (NGC). 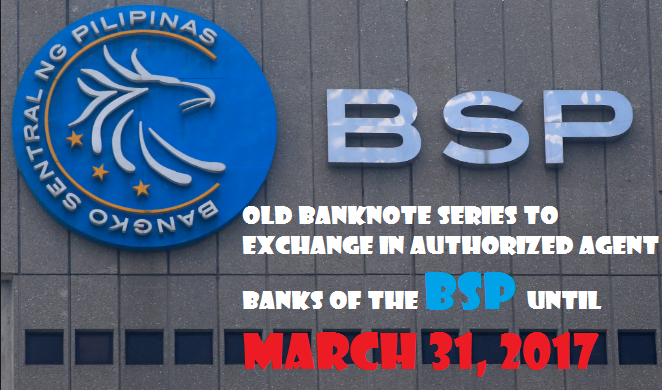 NGS is the latest banknotes that were released in 2010, featuring the new BSP logo and have six denominations: PHP20, PHP50, PHP100, PHP200, PHP500, and PHP1, 000.